Chiron’s Way is located on a little piece of heaven some 40 minutes east of Vancouver, Canada. Here you’ll find programs that empower, inspire and catalyze personal growth and professional development. Sandra often hears from her urban clients how much they appreciate the outdoor classroom, that simply being on the land enables them to feel more connected to themselves, each other, and their learning. As a lifelong learner herself, Sandra has had the privilege of studying with many leaders in the field of Equine Guided Learning and Wellness. She has Bachelor’s degrees in Science and Education, and a Master’s Degree in Counseling Psychology, yet still she quotes the horses as being her greatest teachers. 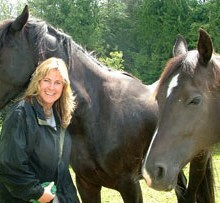 Sandra is a Registered Clinical Counselor, an educator, expressive arts therapist, author and presenter, who divides her professional time between a private practice, working as an educator/counselor in a local school district, and teaching Equine Guided Development and PSYCH-K, locally and internationally. Her clients range from middle school students to corporate executives and she currently sits on a committee helping to develop guidelines for the ethical practice of Equine Facilitated Wellness in Canada. Sandra is a certified PSYCH-K Instructor, one of forty-four worldwide. She became passionate about PSYCH-K after a riding accident in May of 2008 left her unconscious and broken. Unable to get out to her horses, she began to use, with herself, the processes she had been sharing with her clients. Her healing progressed exponentially. 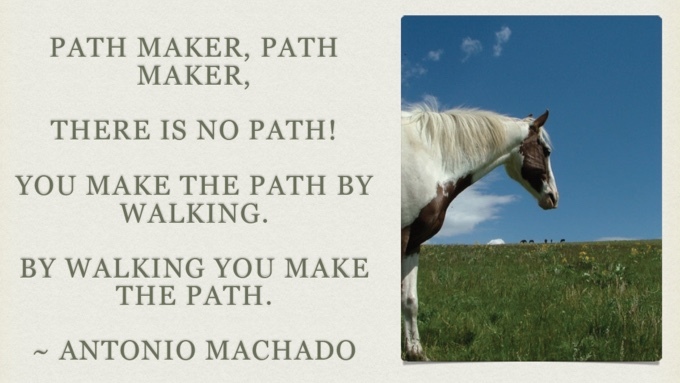 As a result, Sandra now integrates PSYCH-K with her equine practice, teaching students how to use their subconscious to become more horse conscious, and in turn, create and live the lives they’ve imagined … with their horses and beyond.